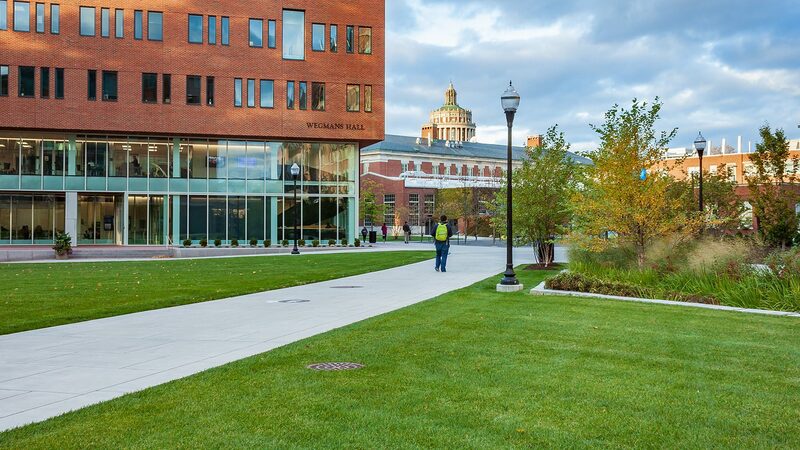 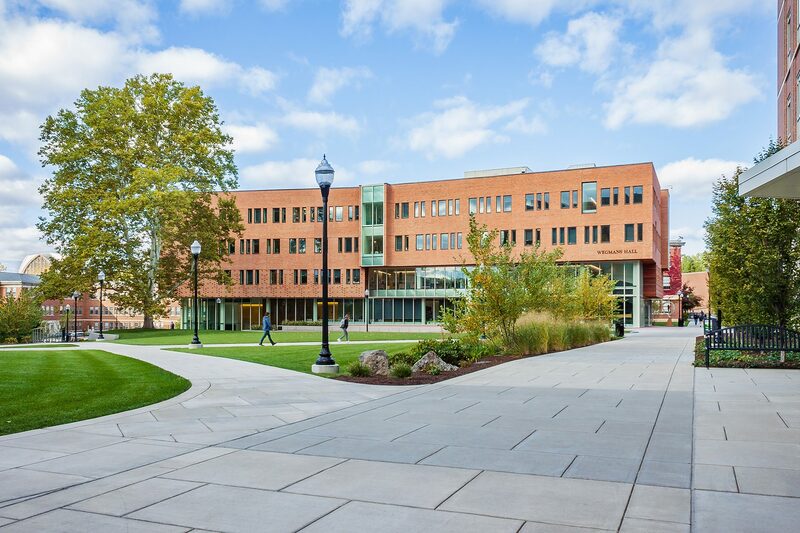 CRJA-IBI Group was selected via a design charrette process to design the new 4.5 acre open space associated with a new science and engineering building at the University of Rochester. 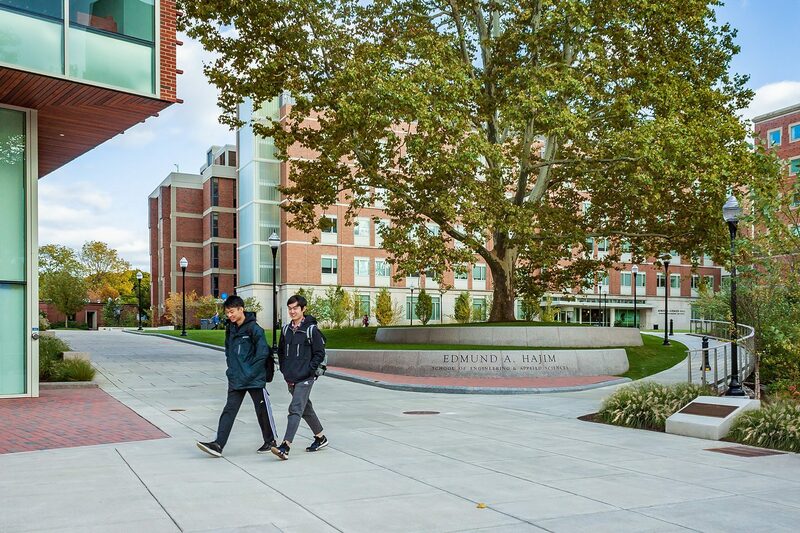 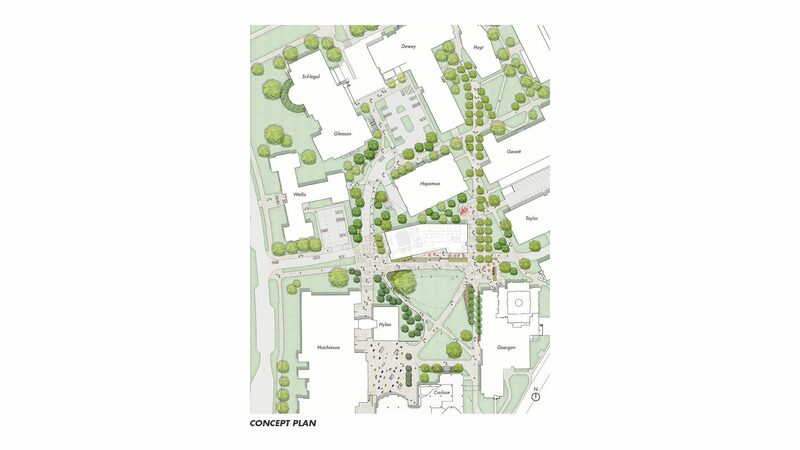 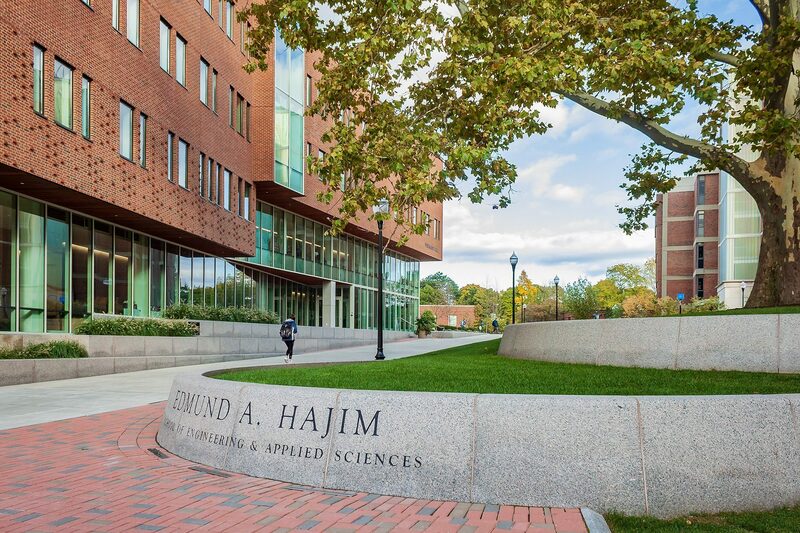 The project aimed to create a new central green space for the campus along the primary circulation pathways and strengthen and enhance the connections between the existing Eastman Quad and the new S&E Quad. 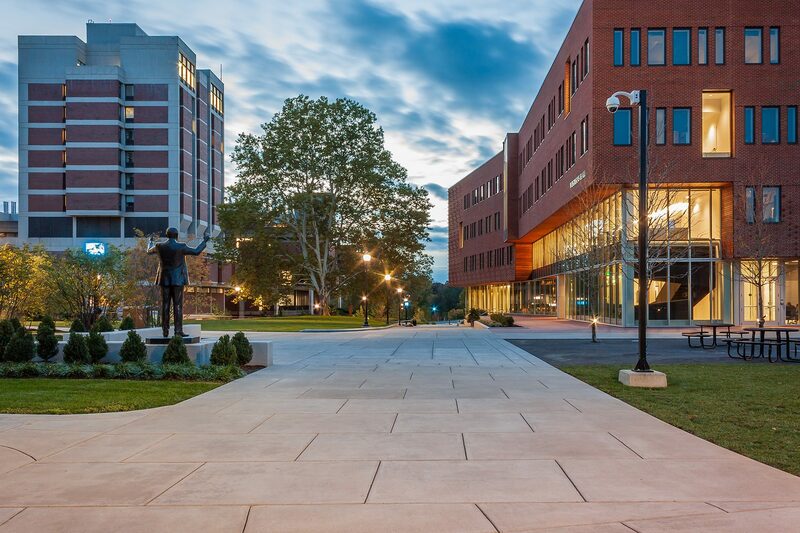 The new quad creates a vibrant, universally accessible space for the community. 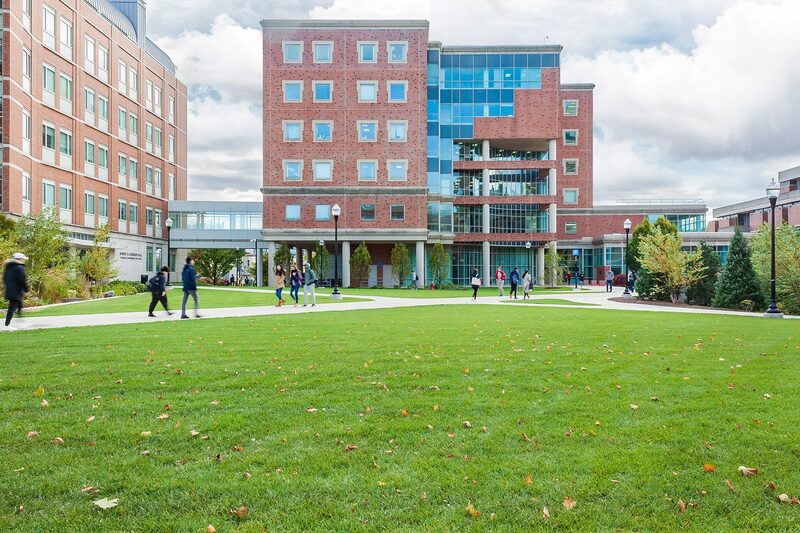 The new spaces accommodate formal student activities such as Mel Day, Dandelion Day, Earth Day and commencement exercises and informal activities and learning. 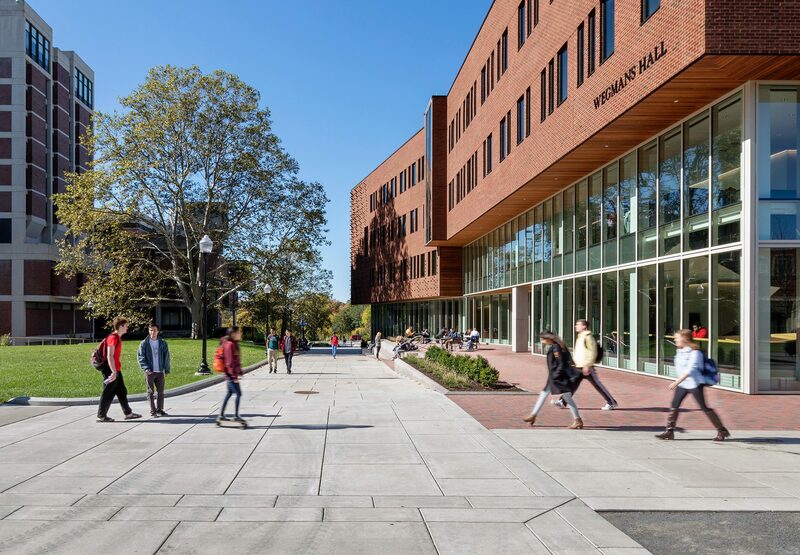 Areas for passive and active relaxation and interaction were the focus of the final design, providing spaces for these interactions that didn’t exist. 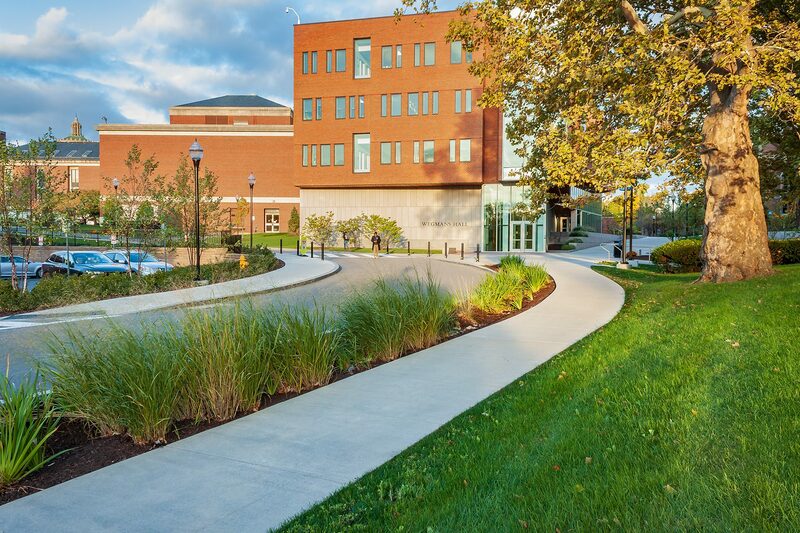 The design clarified circulation to the new building’s entrances, and created a porch area adjacent to the glass facade. 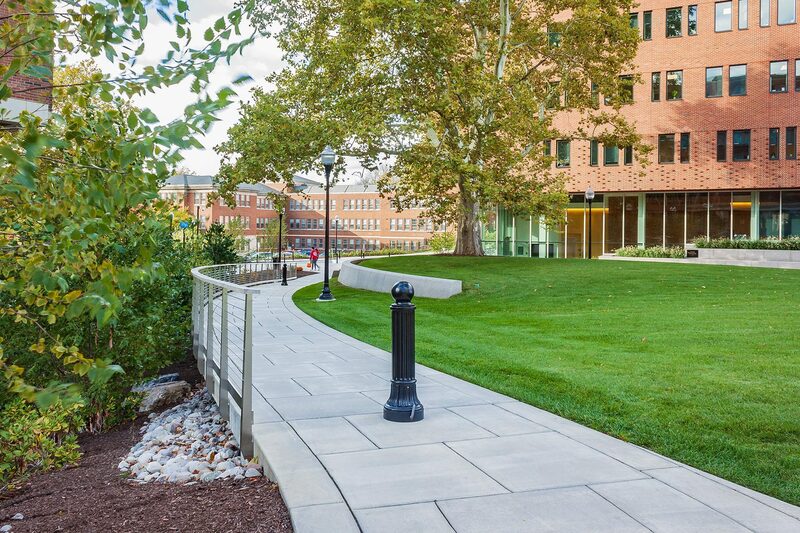 More direct routes were created by realigning the circulation and regrading the existing slope. 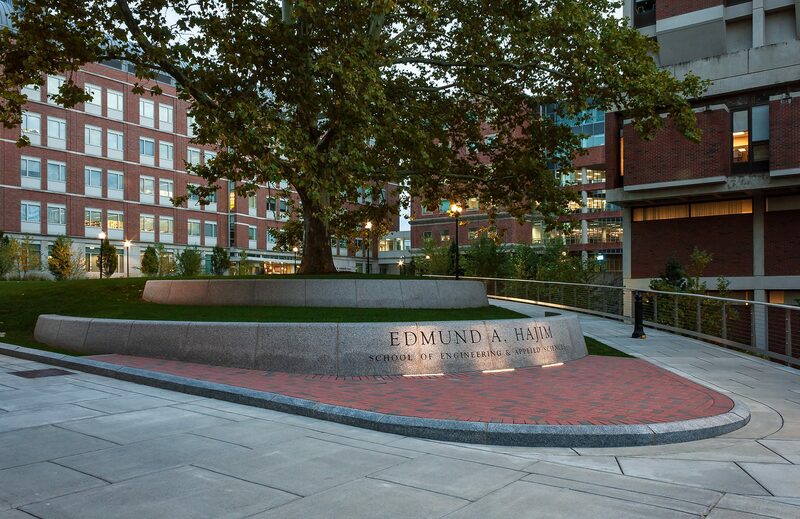 A stand of trees aimed to mitigate the strong winds created by one of the buildings. 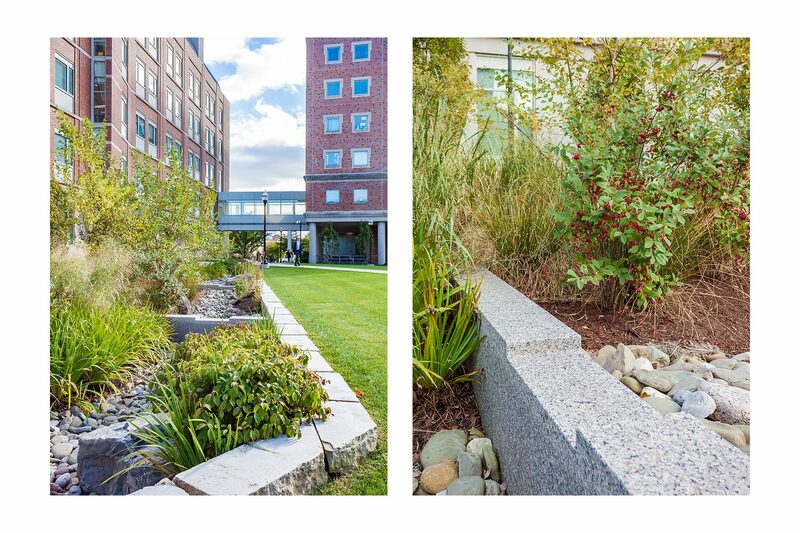 The existing rain garden was relocated to create a central green space and several beloved mature trees remain as part of the campus.